Know, understand and actualize your emotionally healthy brain potential. Brain education is about making your self-image emotionally healthy. It is emotional health that generates wisdom/EI, so wisdom education is brain education. — Sajid Khan, Stop letting your emotional baggage rule your life. RIDGEFIELD PARK, NEW JERSEY, UNITED STATES, March 14, 2017 /EINPresswire.com/ -- The fact that brain education and mind education are lumped together as simply just the single entity of mind education has resulted in all this mess in society from constant tiredness, to unhappiness, to student failures, class divides, poverty, wars, corruption, crime, drug addiction and every other man made ill of society. With regards to the ills of society nothing changes simply because our experts have still not figured out that the mind and brain are two separate entities. They treat the mind and brain as the mind. As a result we have forty thousand books on happiness and not one makes much of a difference simply because all these books try to teach the mind happiness but when the brain is wired to generate unhappiness then the brain continues to generate unhappiness. Every single aspect of life is adversely impacted due to the ignorance of our mind experts not being able to figure out the differences between brain and mind. Whether it is the power of great leaders or the money of billionaires it cannot compensate for the devastating impact of the prevailing ignorance about the brain and mind differences. Take a good look at President Trump, President Obama, Prince Charles, Tony Blair, Bill Gates, Richard Branson and most other men of power; they have little clue of how to relax their brains. As a result they almost always appear tired. Again all these tens of thousands of books trying to explain and teach wisdom fail because these books try to teach the mind wisdom while ignoring the emotional baggage in the brain. As a result the emotional baggage continues to generate ignorance; no matter how much the mind becomes educated about wisdom. Wisdom and emotional intelligence are the same entity; they are both the smoke where emotional health is the fire. So in effect, all these books on emotional intelligence and wisdom try to explain and teach how to create smoke/wisdom without any knowledge that it is smoke they are trying to create without lighting the fire of emotional-health/brain-health. The world can be made wise and the ills of society can be drastically reduced by making the masses emotionally healthy through recognizing and harnessing the separate nature of the human brain. It is well known that man becomes wise by old age. 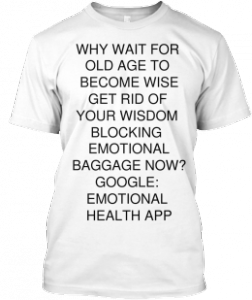 What happens is that the wisdom blocking emotional baggage in the brain gets ground out over many decades; leaving the brain emotionally healthy. This baggage has to be healed ASAP. The situation is so bad that even the mind is couched in confusion. There is no topic mind in High School psychology text books. Isn't psychology about the mind? 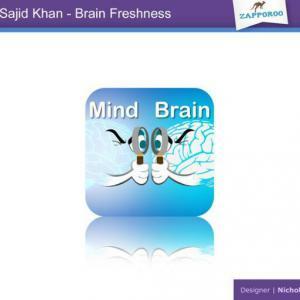 Can I show you your mind? Your self-image is the face of your mind. Know your self-image to know your mind. Measure your self-image to measure your mind. Heal your self-image to heal your mind. Brain education is about making your self-image emotionally healthy. It is emotional health that generates wisdom/EI, so wisdom education is brain education. The focus of wisdom education has to shift from trying to educate the mind about wisdom to healing the brain of all emotional baggage. What the world needs is brain education through emotionally healthy upbringing of the young and brain therapy for the rest of the population. Wisdom through emotional health via brain education.